Throughout Coeur d’Alene in the springtime, the leaves take their time to bud, yet the Coeur d’Alene Resort Golf Course team has already been working to ready the 200-acre course for play. Lauded by such industry leaders as Golf Digest and Golf Magazine, the par 71 Scott Miller-designed course features 2,400 square feet of putting green, 3,500 square feet of chipping green and nearly 7,000 yards of playing area. 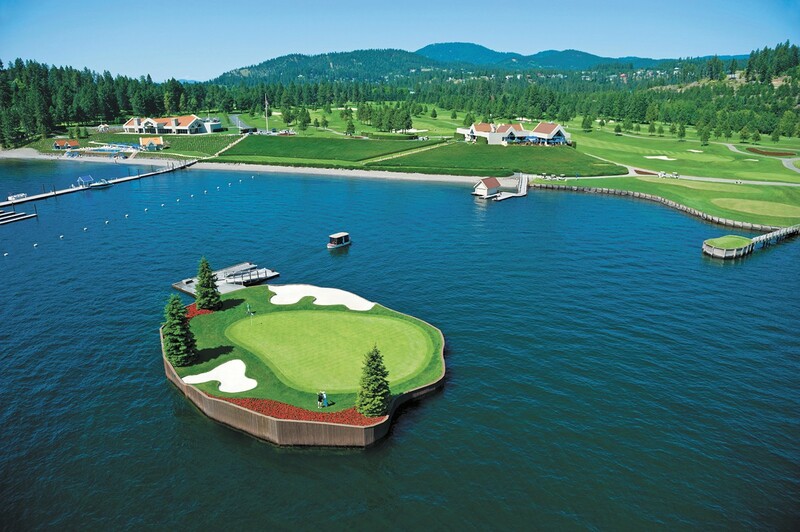 Look for new greens throughout — the same T-1 bentgrass used by the PGA — and, as you might already know, this course is the world’s only “floating” green. If those numbers aren’t impressive, consider these: The course is an extraordinary blend of naturalized landscaping and cultivated areas, including 1,500 wildflowers, 4,000 petunias, 25,000 juniper bushes and the resort’s signature red geranium — 30,000 of them! The resort provides a custom luxury golf cart — heated seats, touchscreen GPS, beverage cart cooler, ball and club washers — for players to share, so getting around on 4.5 miles of paved pathways is a cinch. And if you’re ready to make the Resort Golf Course part of your bucket list, consider participating in one of their tournaments (cdaresort.com/discover/golf/events) or sign up for one of their stay and play packages. Starts at $149 per player. Visit cdaresort.com/discover/golf/the-course or call 855-703-4648. “Looking for Love” hitmaker Johnny Lee, chart-topper T.G. Sheppard (21 number one hits!) and honky-tonker Mickey Gilley make up the Urban Cowboy Reunion. Kick up your heels to “Last Cheater’s Waltz,” “Do You Want to Go to Heaven” and “Room Full of Roses” when they play at the Coeur d’Alene Casino. Tickets $25-45, Coeur d’Alene Casino, 7 pm. What in the world is OozaPalooza? It’s a delicious food truck rally featuring more than a dozen of the area’s best mobile eateries like Meltz Extreme Grilled Cheese, 3 Ninjas, Tacos Camargo and Jamaican Jerk Pan. Visit the beer garden and your purchase will benefit a variety of veteran’s groups. Coeur d’Alene City Park, 11 am-6 pm. You don’t have to be an artist to create a beautiful spring-inspired painting. A skilled Paint Nite instructor will guide you and your friends through two lively hours of painting and drinking at Coeur d’Alene Cellars. Tickets $45 at paintnite.com, Coeur d’Alene Cellars, 2-4 pm.